While attending high school I never really found a strong interest in one particular subject, or knew what I wanted to focus on in university, until I was introduced to geography. 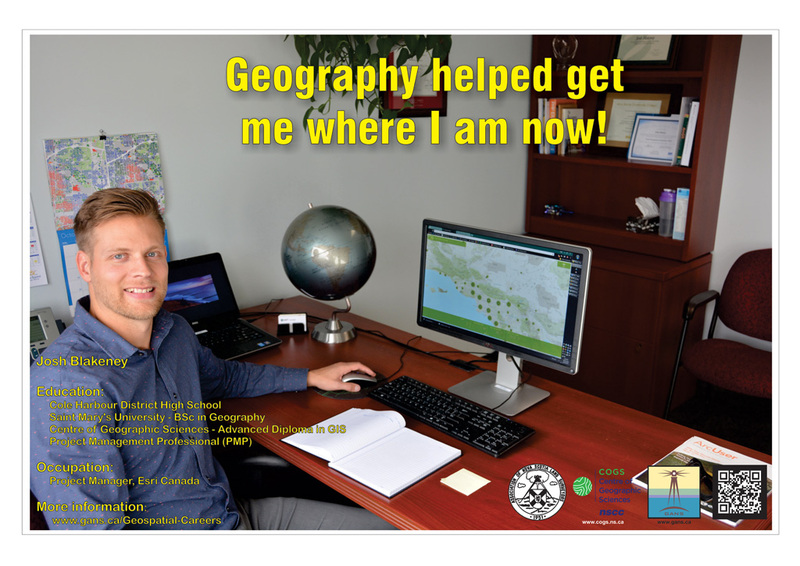 In 2004 I started attending Saint Mary’s University and was introduced to a much broader panorama of what geography entailed and quickly found myself drawn to GIS and location based analysis. My focus was no longer on just completing a degree in geography, but obtaining a degree in geography so I could attend the Centre of Geographical Sciences (COGS) and achieves a diploma in Advance GIS. After the completion of COGS I started working for the Province of Nova Scotia as an Aquaculture GIS and Licensing officer. There I was responsible to manage and maintain the provincial Aquaculture and Environmental Monitoring Database while working with local Aquaculturists in identifying optimal locations to implement aquaculture. Following my time as a GIS Licensing Officer, 3 years, I worked with the Department of Environment where I was part of a team that focused on designating Wilderness Areas and Nature Reserves throughout Nova Scotia. During this initiative we relied heavily on GIS data to identify areas of ecological significance and used mobile web mapping technology to engage public stake holders on the newly designed protected areas. Not long after, I built upon my experience of working with the public in environmentally sensitive matters and became a Watershed Planner for the Department of Environment. This role allowed me to travel throughout the province of Nova Scotia and work with towns and municipalities in creating risk mitigation plans for public drinking water supplies. In total I worked with the Province of Nova Scotia for just over 7 years and was exposed to a great verity of technical, field, and public relations type work. In 2016 I decided to further my career by starting work with Esri Canada. Here, I completed the Project Management professional designation and became a project manager. I work closely with technical GIS experts, leading and managing projects, to help clients leverage GIS to meet their business needs.